Do gamblers only visit Asian Casinos if they are in a resort? Resorts and casinos kind of go hand and hand nowadays, one is almost always to accompany the other and that has seemed to be the way it was going back for decades. For us gamblers, we will go to a casino usually if there is a hotel or not, we are there for the game usually. Though regulars represent a large share of their revenue stream, land based casinos have now diversified their revenue streams so they are not too dependent on one source of cash. Evolving to a multifaceted entertainment experience has helped insulate themselves from the ups and downs that come with the economy. So will gamblers come to an Asian casino if there is no resort? The answer is likely yes, but less so than if there is a full service resort with various activities. The reason they put the resorts in place with the shows, the restaurants, pools, buffets, and more is because many gamblers also have a family that they need to worry about. It would be virtually impossible to convince the wife and kids(or husband and kids) to go to a casino that is in the middle of nowhere with not much else to offer besides slot machines and table games. In addition to the families, people will often go somewhere for vacation if it is a “one stop shop”. What I mean by one stop shop is that there are various non-gaming related entertainment venues to attract the casual gambler or even the people that never gamble one penny. All casinos, resorts are a huge investment of capital and this sort of investment is something you want to protect through diversification, much like your own 401k or personal stock portfolio. Also, in addition to this one can only gamble for so long before losing their shirt or sanity so diversion is also a necessary aspect of the experience. If someone is on a bad losing streak, maybe a few hours of taking in a show, seeing the sights, and enjoying a nice meal can help take the edge off and put them in a more positive mindset. The casino of today is now all about experience and value, in addition to attracting high rollers (which is usually an important source of revenue) they want to provide quality entertainment and fun to attract even more customers to come and try their luck. In addition to the diversion, if one leaves the casino after losing but they had a really good time it is considerably more likely they will return. If one has memories besides what they lost, it reframes the whole trip where as if we go to a casino and lose a ton there is a good chance that we will not go back because that loss is all we remember. It is all about experience, experience, experience. So, will gamblers only go to an Asian casino if it is in a resort? More often than not the answer is yes but the game has changed. Nowadays it is about attracting as many people as possible to increase their viability as a tourist destination. It goes without saying that a nice enough resort will attract people for other things besides the gaming. A good example is Vegas, a ton of people go just to take in the sights, see the shows, attractions, clubs, and restaurants. All of this makes them money. So the answer is yes, but it is also about more than just us gamers. 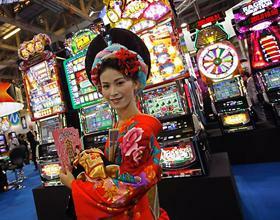 Would you make the trip to go to an Asian casino if there was no resort?